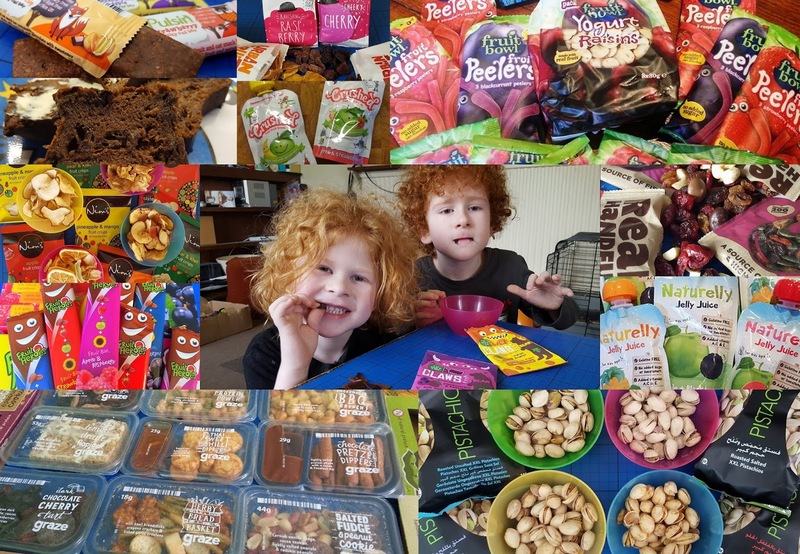 The Brick Castle: 15 Healthier Lunchbox Snacks On Test - Will The Kids Eat it? 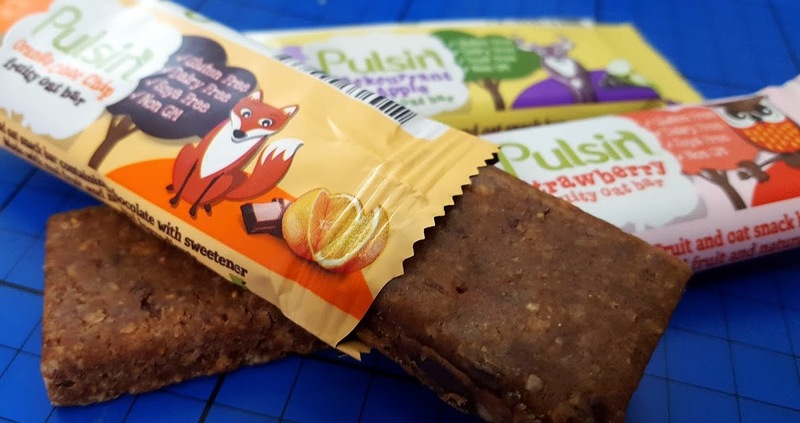 15 Healthier Lunchbox Snacks On Test - Will The Kids Eat it? The nutritional information I give is based on the product websites or packaging and is correct to the best of my knowledge. Some links are to older reviews and information given back then may have changed. Prices given on this page are correct at the time of typing on the product website, major supermarkets or Amazon. 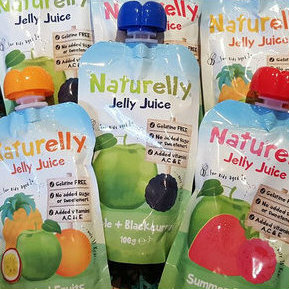 Naturelly Jelly Juice (£1.19 per 100g pouch). Soft runny jelly that is 70% fruit juice and tastes delicious. This is a 7/10 for lunchbox because everyone really likes it, but it is a bit pricey for everyday. 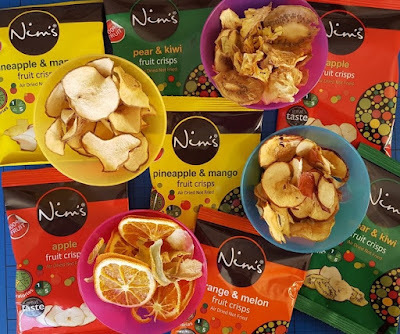 Nims Fruit Crisps (£1.35 per 22g bag). 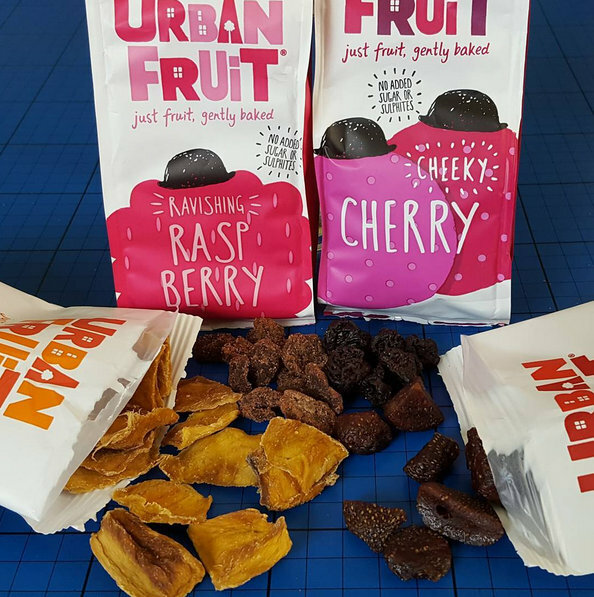 Air dried slices of complete fruits. Alas my young children won't eat them. They chewed on them a little bit, but were not keen. My partner and one of the teenagers adore them. They're quite strong tasting and some, the orange for example, are quite bizarre to eat with the peel and pips left in. I have to give these 3/10. A great concept, but very love it/hate it. More of a grown up snack. Fruit Bowl Snacks (Around £2 for a pack of 6 x 18g packs). 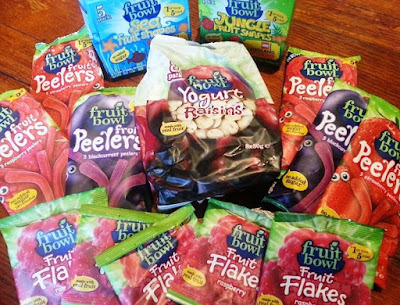 A huge range of different styles of fruit based snacks including flakes, peelers, shapes, yogurt-coated, fingers, bites and bars. Vegetarian, Gluten-free, Kosher, only yogurt varieties contain dairy products. My boys loved everything we tried and they consider these to be sweets. I love to nibble these and they are also excellent for baking. The price is great. Flakes can be a little tart. We have to say 10/10. I can't fault them. Graze Good-To-Go Snacks (99p-£1.49 per 18g-44g pot). 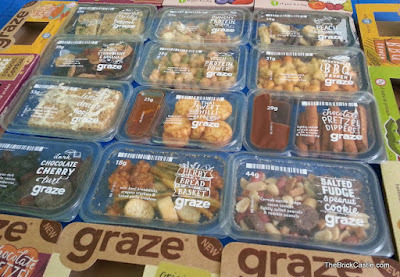 Selected snack boxes which include a nutritional benefit - portion of fruit, protein and/or fibre etc. There really is something for everyone here, and every single box was devoured in minutes when we tried them. Our younger children were particularly keen on the fruity boxes, but beware - the banned substance 'chocolate' does make an appearance in some of them. We vote these 8/10 because there will be something for everyone, but it's pricey for everyday. Soreen Malt Loaf (Lunchbox Loaves £1.35 for 5 x 30g loaves). Individually wrapped portions of the classic malt loaf, and fruity loaves. Soreen is a staple in our house and has been since before I was old enough to do my own shopping. Although my 8 year old won't eat it, everyone else will, so I'm not counting him. Full of fruit and fibre and low fat, with umpteen ways of eating it. We vote this 10/10 because it's so reliable, popular, available everywhere and priced to please. 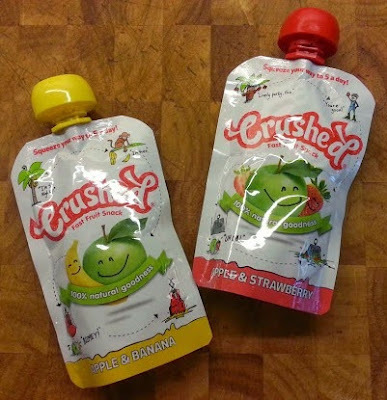 Pouches of crushed mixed fruit. My children love these. They're ridiculously tasty for how simple they appear to be. We give these 8/10 because they are a bit expensive for everyday, but otherwise excellent. My boys loved the strawberry, found the mango too chewy and thought cherry was very tart. All good strong flavours and enjoyable snacks, which again were a moreish snack to leave out for the older members of the family. 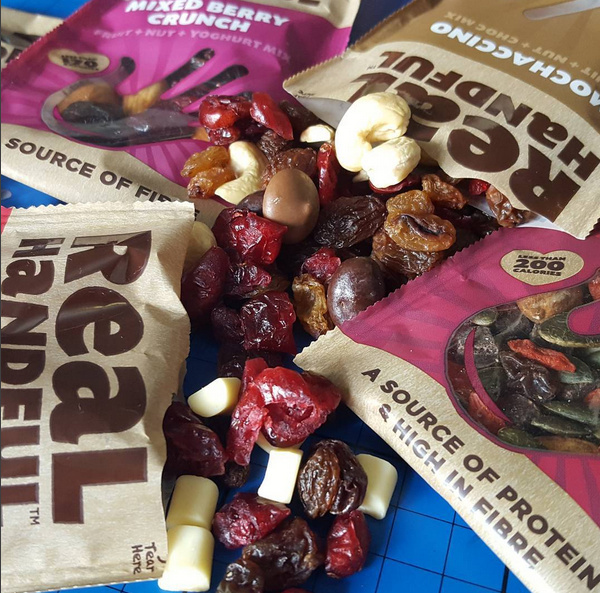 We give these 7/10 for lunchbox depending on flavour. You'd need to bag a portion, and choose your flavour wisely, but price per portion would be good. 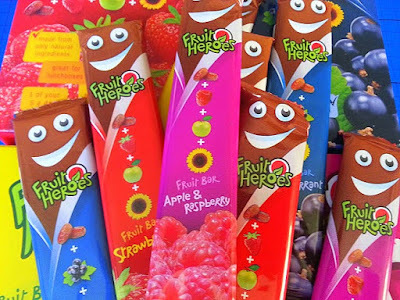 Date-based fruit bars in several different flavours. My two young boys don't like these. They tried them several times, but couldn't get on with the soft texture or taste of dates (think fig roll without the biscuit). I love them, and a couple of our teenagers do too. We give these 6/10 because if your children like them then they're ideal, and well-priced. Another love it/hate it. Wonderful Pistachios and Almonds (around £3.95 for 220g or £1.99 for 115g). 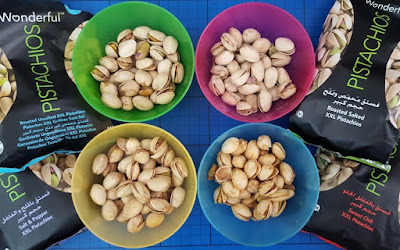 Plain, salted and flavoured nuts. I've added these because they were ridiculously popular with my children of all ages. Even my self-proclaimed nut-hating almost 8 year old ate plenty of them. Full of protein, so especially valuable to vegetarians. 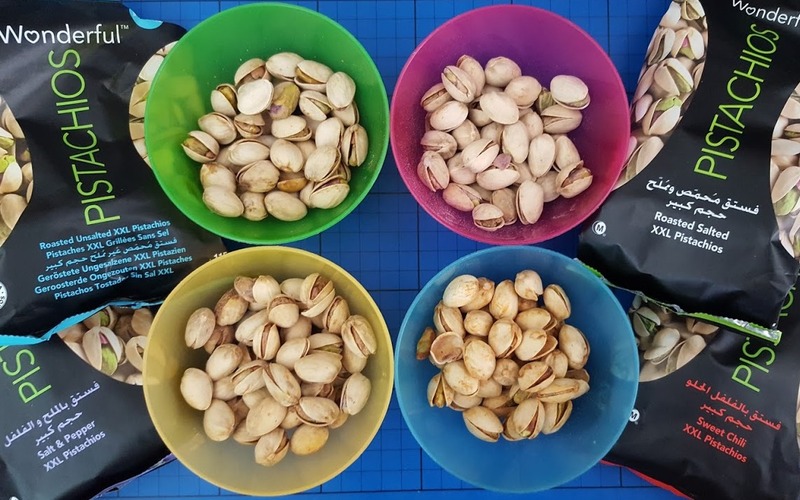 We give these 8/10 because nuts are sometimes banned from lunchboxes, and you will have to split them into portions. Each portion works out around 55p, so the price is okay. Oat and date-based pressed chewy bars. Sweetened with Xylitol (a naturally occurring plant sugar which is toxic to dogs). Neither of my young boys liked these. Again they were a hit with the teenagers, although I wasn't so keen. 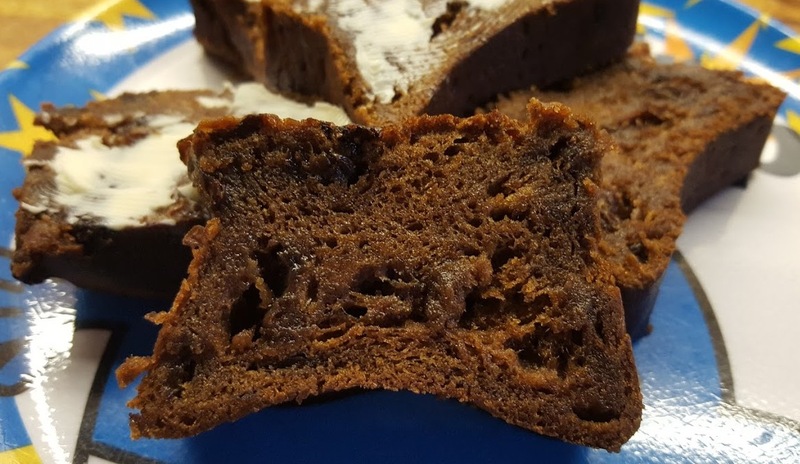 The texture is chewy but dry, and the date taste is quite strong. The 3 different flavours are distinctive. We give these 5/10 because my boys didn't like them, but if your children do like a datey taste then the price is okay. Selected snack bags of trail mix - fruit, nuts and chocolate, with a twist. My boys loved these, as did we all. 6 different flavours means there's something for everyone, and the flavours are gorgeous, if a little strong and 'grown up' for some of them. 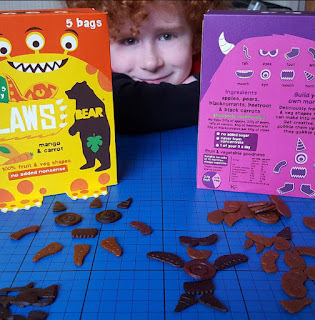 Bear Nibbles: Claws (I've found these at £5.99 to £17.99 for 5 x 20g, so buy carefully). My children love these, another one which they just see as sweets. Really tasty and moreish little chunks of chewy flavour. No idea they're eating beetroot or carrot. We give these 7/10 because they look like sweets and I don't think school will like that, and they're expensive for everyday. Otherwise excellent. 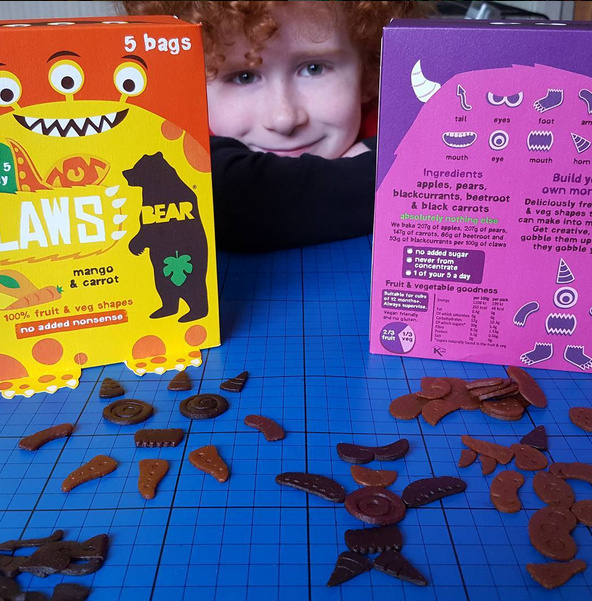 Bear also make Yoyo's, Nibbles and Paws which are more appropriate for school lunchboxes. Bioglan Superfoods Raw Bites (£4.99 for 140g/4 portion tub). 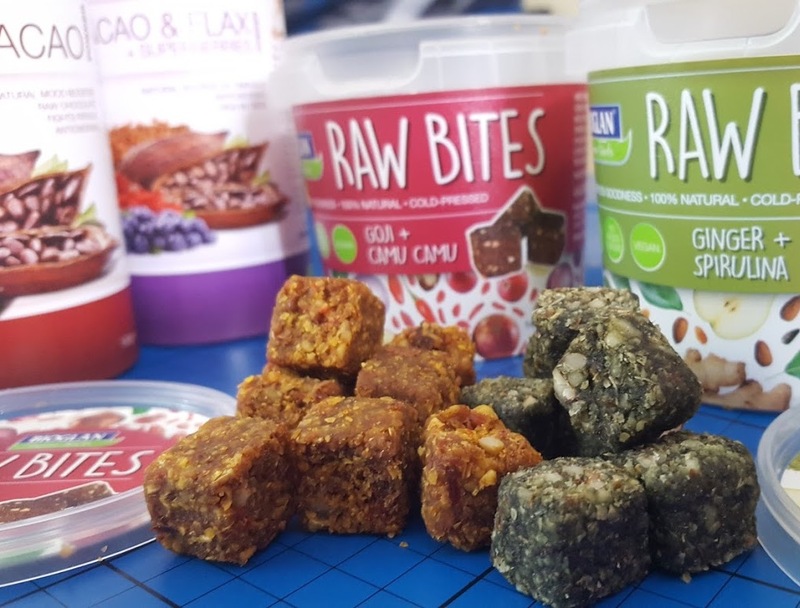 Raw superfoods and fruit mashed together and pressed into a chewy cube. We give these 4/10 as a lunchbox snack because they are a more grown up taste, and would be pricey for everyday. Great for adults watching their snacks though. There are cacao varieties which may be sweeter and more friendly to a younger palate. 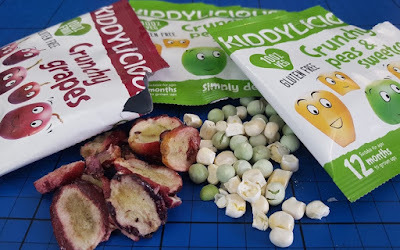 Kiddylicious Crunchy (60p per 6g bag). Hit and miss. The grapes are great, and our teenagers really love them on cereal too. The peas and sweetcorn are not terribly popular here, except with our house rabbits, who believe it to be the best food they've ever stolen. We give these 7/10 for lunchboxes as they're a little pricey for everyday, but very interesting and unusual, and tick all of the other boxes. Pea based puffed crispy sticks. We all like these, but I have noticed if you overdo it, you tire of the subtle background taste of peas. 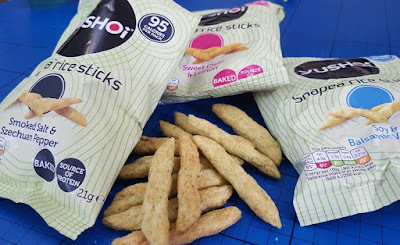 They are really crispy, like a chipstick, and contain a hefty amount of protein - not something you usually find in 'crisps' and valuable, especially to vegan kids. We give these 9/10 because they are a much more healthy alternative to deep fried potato slices, really tasty and a good price. They just miss out on the 10 because the pea taste can annoy you if you eat them regularly, and does specifically deter my 8 year old. Fresh Fruit and Veg (Prices vary from around 10p to £1.00 per item). This lot was from Creamline Dairy, and is only a small sample of what's on offer. 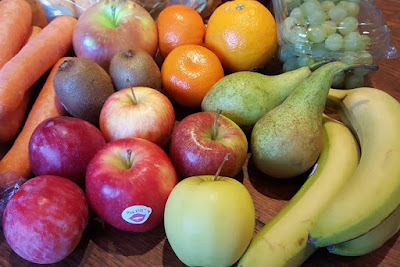 My young children love most fruits, and are thankfully willing to try new things. They'll only eat carrot or cucumber sticks under duress unfortunately, but some of my children have always eaten peppers, mushrooms and even courgette raw. We give these 10/10 because fruit is available everywhere, a good price and there's something for everyone. Lots of variety. The only downside is a shorter shelf life. I was not asked to add any of the products on this page. Thanks to all of the brands involved for sending or handing out samples for review over the last 18 months. If I have any details wrong please let me know and I'll amend the post! Lunch boxes are so hard to get right! You aren't kidding. Thankfully I can rely on my son to eat the lot, and save his 'pudding' for last, but school making decisions on what they can and can't have makes it a bit of a minefield!